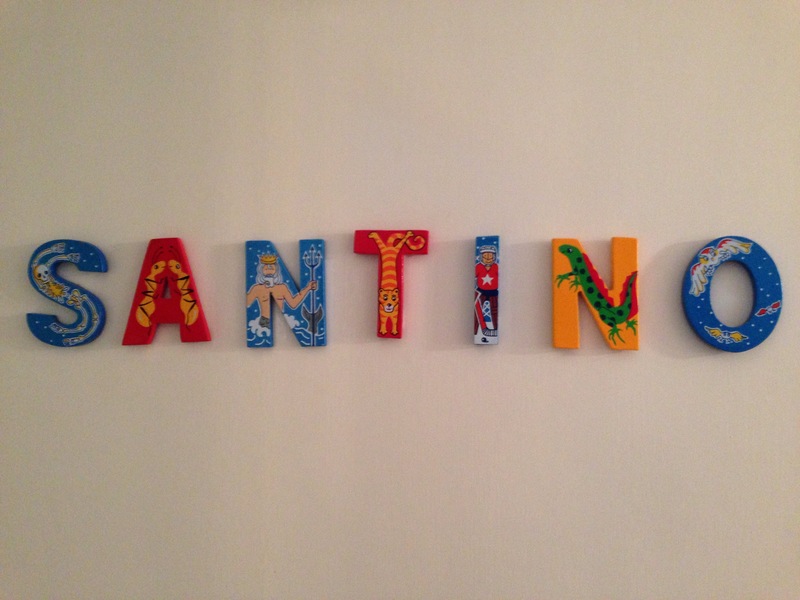 NOT knowing if we were having a boy or girl, decorating a nursery was impossible until Santi was born. 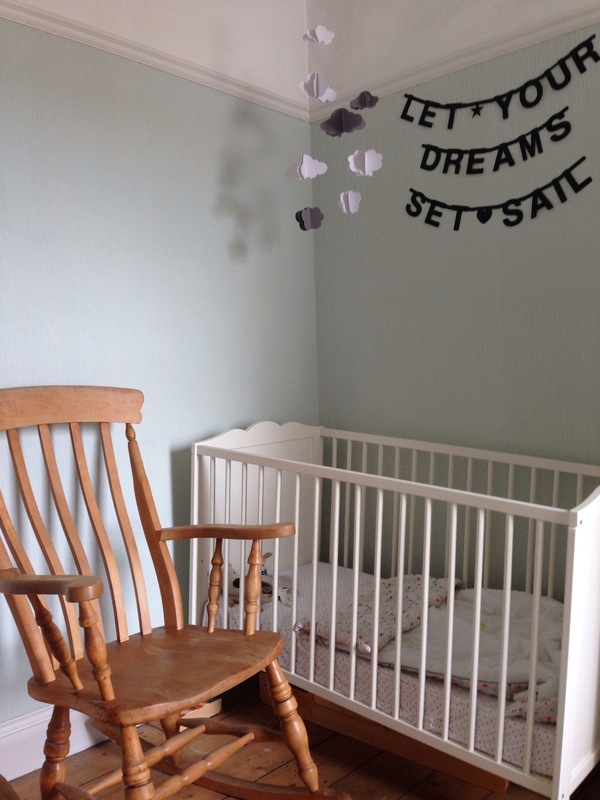 I didn’t want to go for a generic theme just for the sake of having the room ready, and the baby would be in with us for the first few months anyway so we waited. We’d painted the middle bedroom a pale green when we moved in and decided the colour would stay for either gender – we wouldn’t have gone for pink or blue anyway as they’re not our style. When Santi came along and was a boy, we went for a nautical / pirate theme, which anyone who knows me won’t be surprised at. 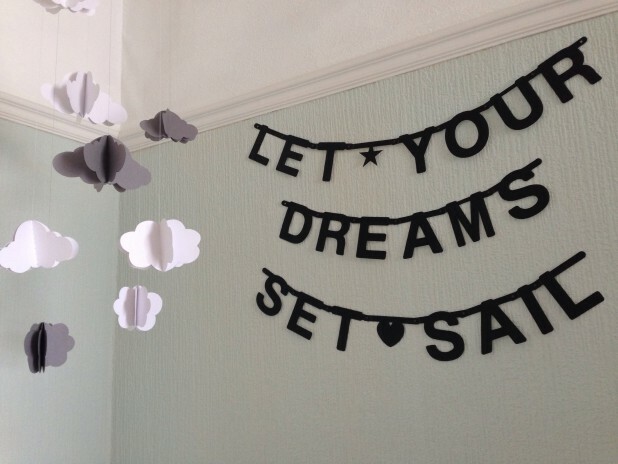 It’s not a full-on themed room, just little bits and pieces to give it a boyish twist. 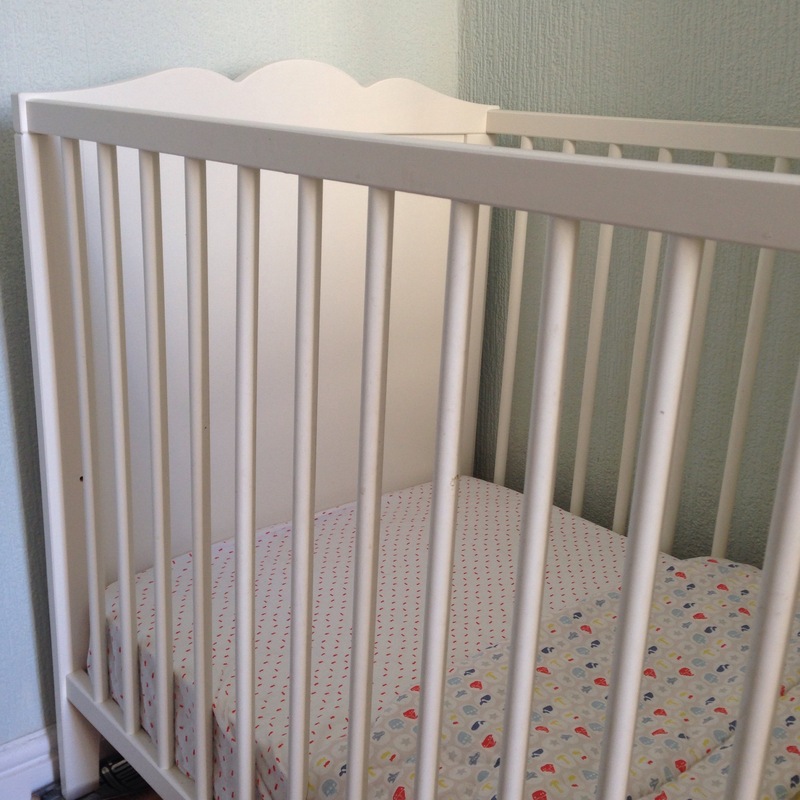 We wanted plain white furniture and spotted a cot in Ikea that had nice shaped ends. We ended up buying the matching changing unit and wardrobe, so it all matches now. The changing unit was great as it came with a removable shelf for changing so you can use the whole thing as a normal bookcase when your baby gets bigger. The bottom shelves are used mainly for books and storage boxes, but I’ve tried to keep the top looking pretty. 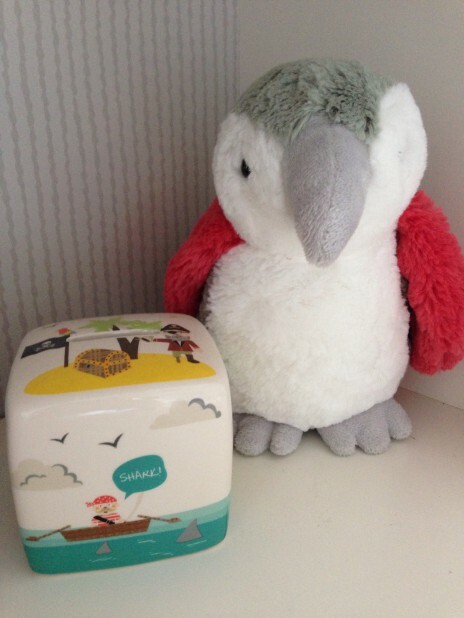 There’s a little VW campervan, a parrot from The White Company which Santi had for Christmas, three pinwheels in milk bottles with sand for a beachy look, and a pirate moneybox (with no money in at the moment). 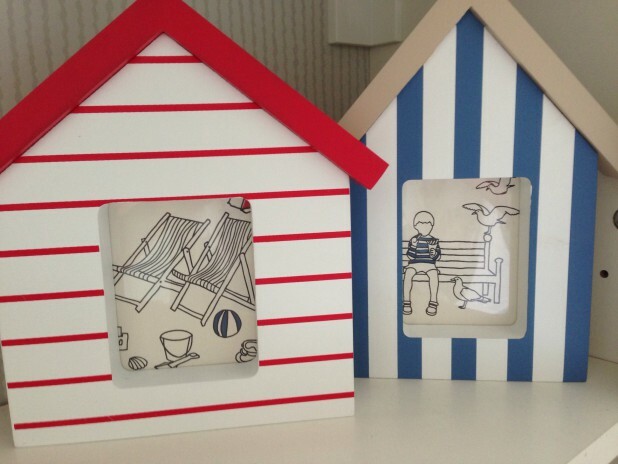 I picked these beach hut frames up in the Mothercare sale and didn’t have any photos the right size, so I sneakily took a sample of wallpaper from a DIY shop and cut out two of the designs to frame … I think they look really cute, especially the little boy on the bench! 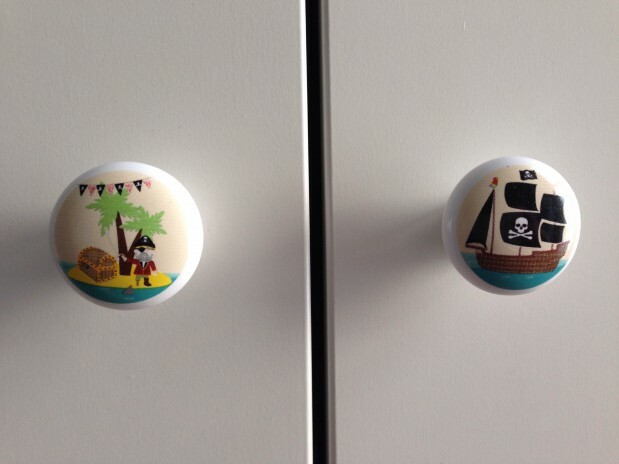 As the walls are quite pale, we’ve put quite a few little bits around the place to brighten it up. I love this little corner in particular. 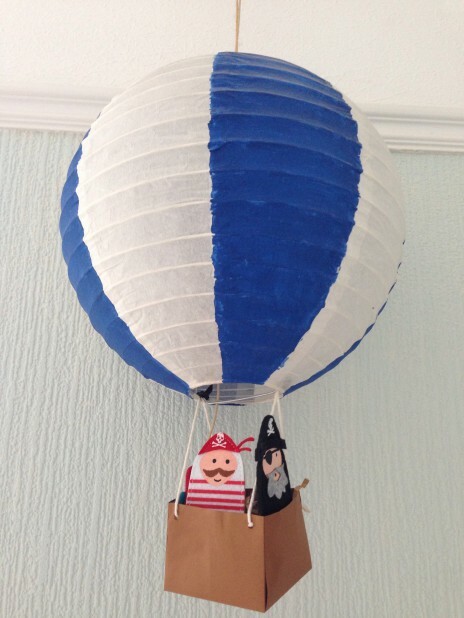 When me and Stew got married we made hot air balloons to string from the ceiling with little lights in – this is one that we kept, with pirate finger puppets peeping out (they weren’t part of the wedding!). My parents bought the moon print when Santi was born, and the little Tintin postcard is one of many that we have from the Tintin museum in Belgium. 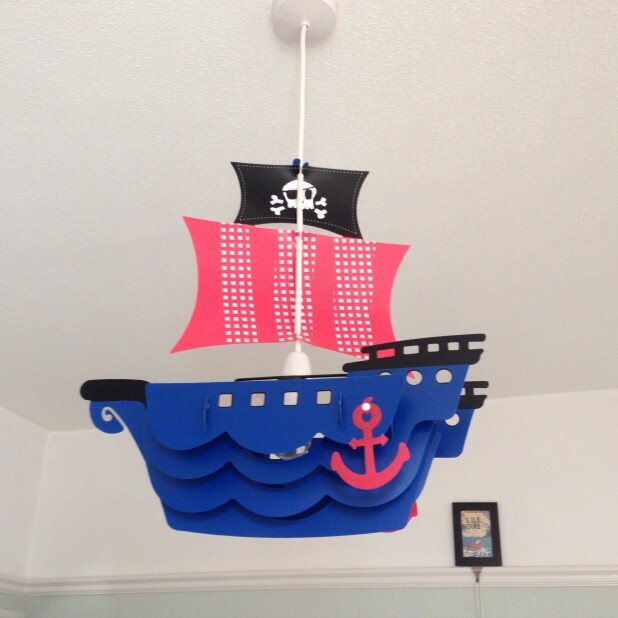 And this corner has kind of strayed from the nautical theme, but I think it’s really pretty. 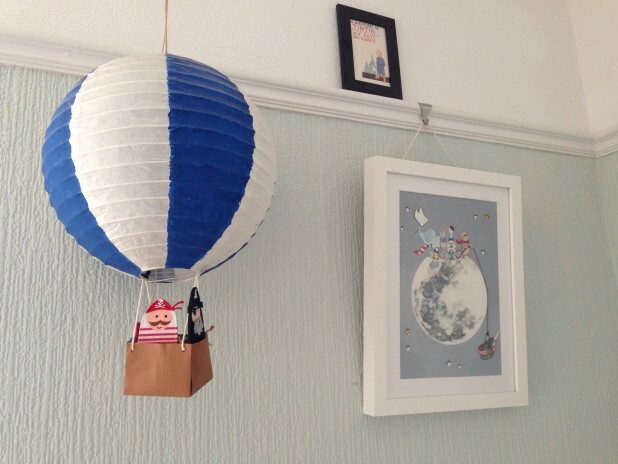 I made the cloud mobile when I was pregnant and considering a cloud-themed room. 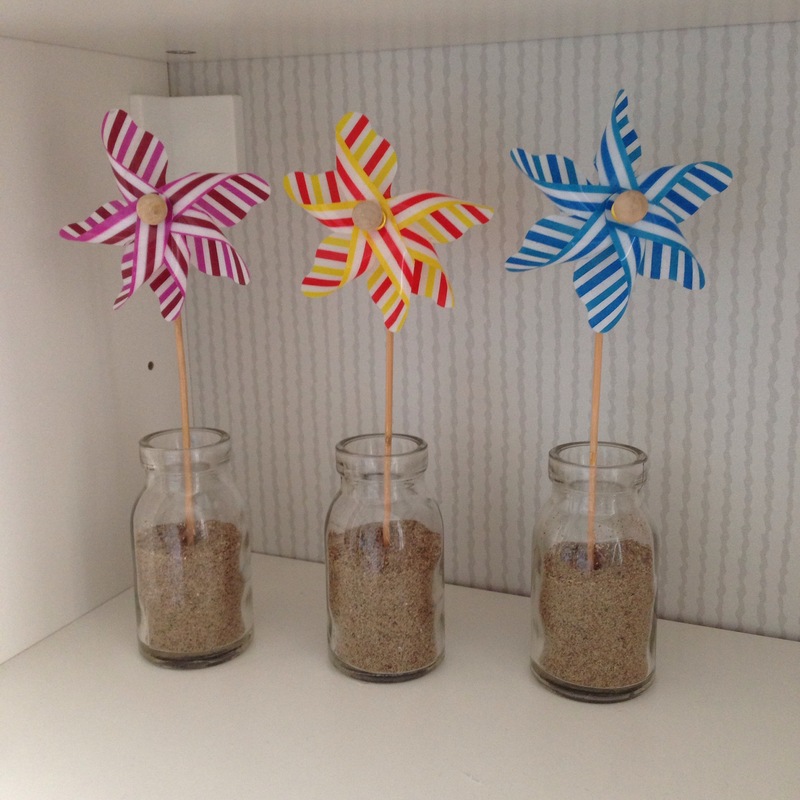 I’d seen them for sale on Etsy but they were really expensive so I got crafty instead! I bought the letter banner in Stockholm while we were on holiday this year. You get loads of letters that attach to each other so you can design any phrase you like. It’s a real feature above Santi’s cot. It’s gorgeous! So many lovely details! Love the hot air balloon especially. Oohh a London theme will be lovely. 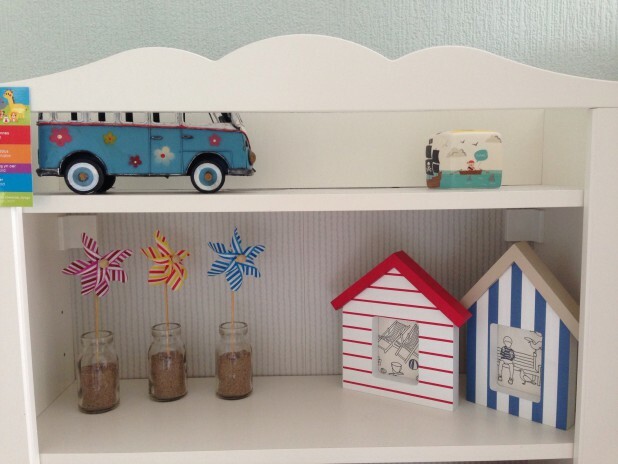 My friend just bought a big red bus sticker for her little boy’s room from Not on the High Street, it’s gorgeous. I love this! The door handles on particular are amazing. It’s the small details that make it. When my first was born, I painted a jungle mural on the wall. It took me ages but it looked really good. Annoyingly our landlord then decided to sell so I had to paint over it. The drawbacks of privately renting! Grrr. Absolutely stunning!!! I can’t wait to decorate my son’s room. We were supposed to move in July but it all fell through at the eleventh hour so still crammed into our one bed flat for what looks like another winter. 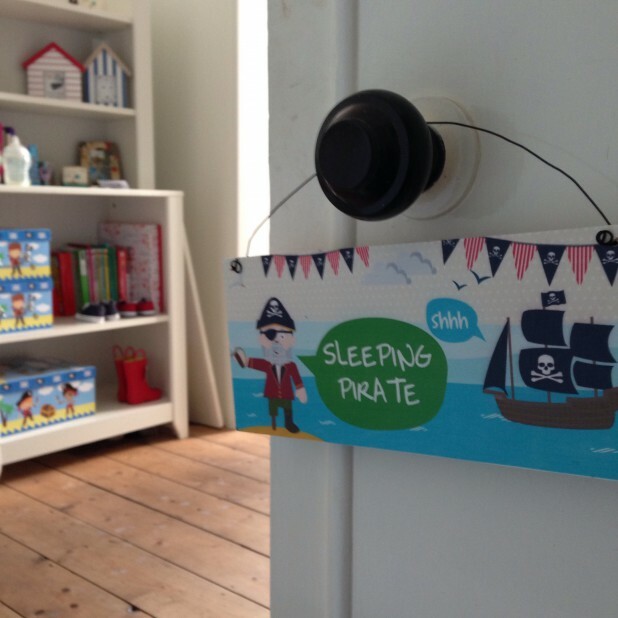 My ideas have always been Pirate or Beach Hut theme (living by the sea does it to you ?) So nice to see ideas put into action. Love the handles! I love this it looks really cute and not too cluttered! I like the fact that you waited to decorate it too!